The collected writings of David Levy, professor of economics in the Merrick School of Business, reads like a bibliography of international public-health insight and understanding. 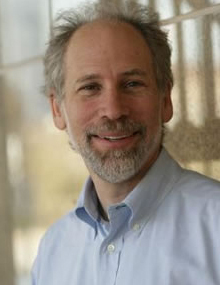 Levy’s expertise has made him a rarity in the field of public-health policy research and model-building: he has done research in more than 20 countries, as well as for numerous domestic organizations, and has delved into some of the most controversial topics in all of public-health research, including tobacco regulation and obesity. By the end of next year, he expects to have completed work for at least 20 more countries, as his status as an authority on the economics of health care keeps international policymakers listening. In particular, Levy is interested in the role of marketing in public health policy, which is too often overlooked. Indeed, making sure that no stone is left unturned is a hallmark of his approach. Three years ago, Levy received a grant through the University of Baltimore, funded by the American Cancer Society, to begin a model-building program regarding tobacco use in Albania. After visiting the country and meeting with various advocates for tobacco policy and collecting the relevant data, Levy presented a workable model for the country’s future development of public-health policy regarding tobacco use. After two years, he conducted a follow-up on the project – and determined that the policies had not had as much effect as his model predicted. A professor at UB for more than 16 years, Levy has received acclaim by several local and regional organizations. He earned the 2005 University System of Maryland Board of Regents Research Award; is a four-time recipient of the University of Baltimore Research Award; and received the Federal Trade Commission’s Outstanding Scholarship Award in 1988. This year alone, Levy has published in the American Journal of Public Health and the American Journal of Preventative Medicine, both top publications in their field and both frequently referenced by the federal government in shaping public health policies. Also this year, his work appeared in the Obesity Review, Addiction, and Tobacco Control. Levy’s economic scholarship on the domestic front is consistently matched by his work overseas. And his commitment there is a personal one. Affecting change is a chief goal of any type of academic scholarship, and from that perspective, Levy is one of Merrick’s shining lights. About the article's author: Andrew Keating is a graduate student in the University of Baltimore's Creative Writing and Publishing Arts program. He is currently working on projects with Dennis Pitta, professor and chair of the Merrick School of Business' Department of Marketing and Entrepreneurship. Copyright © 2009 University of Baltimore. All rights reserved.